Announced at the Television Critics Association Press Tour in 2017, The CW revealed that the character John Constantine will return in animated form, headlining a short-form animated series to air on the CW Seed digital outlet. The series debuted in March 2018. The CW and CW Seed's Constantine animated series spins out of the Constantine live-action series, which aired in 2014 on NBC before being cancelled after a single season. Matt Ryan, who starred on the short-lived NBC drama, returned to voice the lead character. Ryan reprised the role of Constantine for an episode of the live-action The CW series Arrow, voiced the character in the DC Universe Animated Original Movie title Justice League Dark, and appears regularly as the Hellblazer on the live-action DC's Legends of Tomorrow live-action series on The CW. The animated series consists of twelve 5-6-minute episodes available through CW Seed, joining the short-form animated series' Vixen and Freedom Fighters: The Ray. 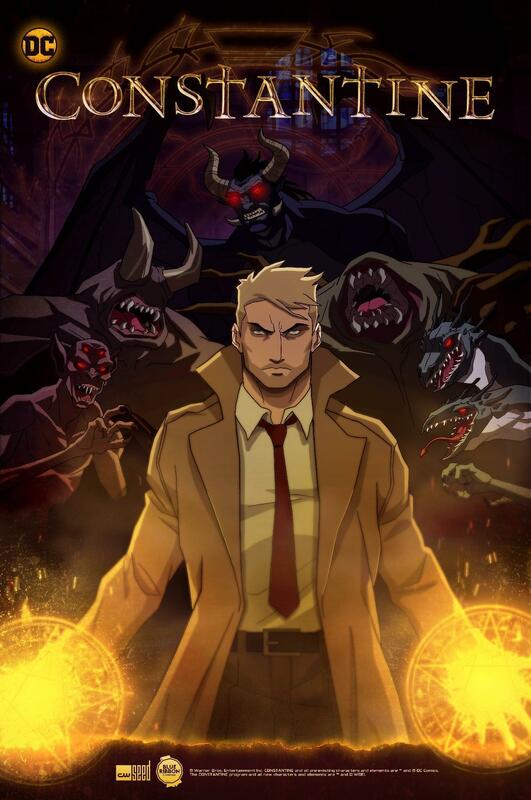 The animated series was released to home video in October 2018 as Constantine: City of Demons. Additionally, the 13 episodes of the live-action Constantine drama are available for streaming on CW Seed. David Goyer, who worked on the live-action NBC series,is an executive producer on the animated series, along with Greg Berlanti and Sarah Schechter, who also are executive producers on The CW's slate of superhero-themed shows, including Arrow, The Flash, DC's Legends of Tomorrow and Supergirl. Select coverage of this series is available at The World's Finest. Additional details on Constantine can also be found at The DC Animation Forum. Click on the player below to view a first look preview of the series.